During day three of the 2016 Royal Tour, William and Kate spent time with a charity that helps street children in New Delhi. 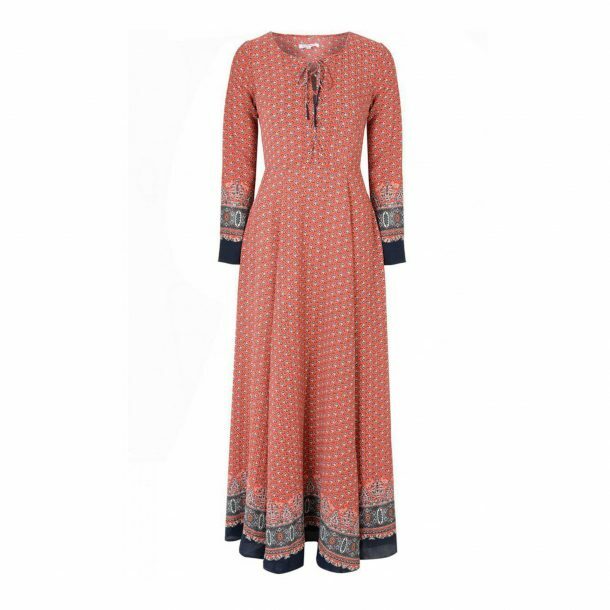 For the visit, Kate opted for a red printed dress by British high street brand Glamorous. The dress costs £50 (approximately $70 USD). Sadly, the dress is currently out of stock. However, you CAN preorder the dress from the Glamorous website. The dress will be dispatched in early May. The company deliver worldwide (in fact, I think their shipping rates are pretty reasonable). 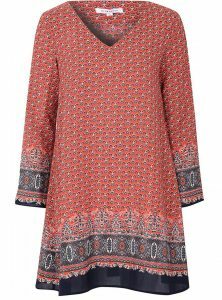 If you really like Kate’s dress, but prefer shorter styles, Glamorous also sell a tunic in the same print. Again, it is available to preorder, due to demand this piece has also sold out! They’re based in Manchester, England and stocked in a few high street stores, including TopShop and House of Fraser. You’ll also find Glamorous stocked on the ASOS website. To my knowledge, Kate has not ever worn clothing from the Glamorous brand before (at least not publicly).